Wellness, Brilliance and Confidence within your Smile! 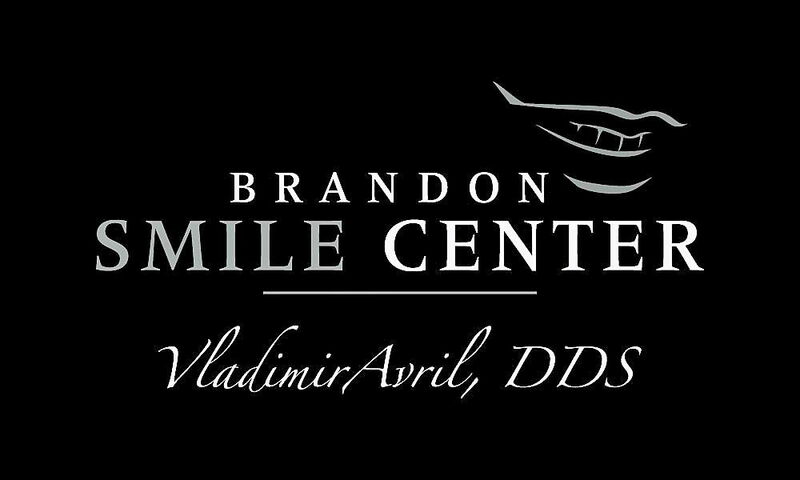 From first contact at Brandon Smile Center, Dr. Vladimir Avril is committed to your individual attention and strive to provide personalized oral health care tailored for your unique dental needs and goals. We work hard to create the ultimate stress-free and comfortable dental experience. Your health and comfort are our top priorities, and we do what it takes to help every patient understand their symptoms and treatment options in a relaxed office setting. It is our mission to educate and provide our patients with the best dental care in Brandon. For that reason, we've designed this website to provide you with all of the important information you need to make healthy decisions about your teeth and gums. We encourage you to browse our office page, service details and patient education library whenever you have a question about our practice or your oral health. Achieving quality dental care shouldn't be difficult, so at Brandon Smile Center we make it simple to achieve your healthiest, most beautiful smile. Whether you are looking for information on implants, teeth whitening, crowns, or preventive care, you can learn more about all of your options from our services page. For your convenience, you can also request an appointment online with our Brandon dentist and download patient forms directly from our website. Feel free to contact our Brandon office with any questions. We look forward to making each visit to our office a positive experience. Common esthetic dental procedures can be performed to correct misshaped, discolored, chipped or missing teeth while improving your look and confidence. Sedatives are medications designed to help a patient relax. This can be a powerful tool for pain free and relaxing dentistry. Clear aligners, like Invisalign and Smile Direct Club, offer orthodontic treatment desired without having to use traditional braces. "Visiting Brandon Smile Center gives my family and me more reasons to smile." "Dr. Avril provided me with excellent care when I needed it the most." "I love my dentist, Dr. Avril! He has given me such good care that I make trips back to Brandon to see him rather than find a new dentist! He is more than a dentist; He is an educator -carefully explaining what is wrong and giving options. He has both integrity and he cares about each patient."